C64 Choplifter (USA/Europe) in 02:33.1 by DrD2k9. 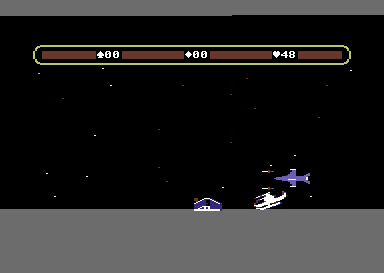 Choplifter is a game developed by Dan Gorlin and was released by Brøderbund in 1982 for multiple systems. It has the distinction of being one of only a few games originally made for home computers before being ported to an arcade machine. In this game, you are an ace helicopter pilot tasked with rescuing prisoners of war from enemy camps and returning them to the home base. There are a total of 64 POWs that need saving, but you can only carry 16 at a time. In this run, DrD2k9 rescues all POWs in record time. We also have a movie of the Atari 7800 version.